You guys, I’ve been bad. Something really amazing happened and while I mentioned it on Instagram, I haven’t talked about it here. I got published for the first time everrrr, if we ignore any school paper articles. 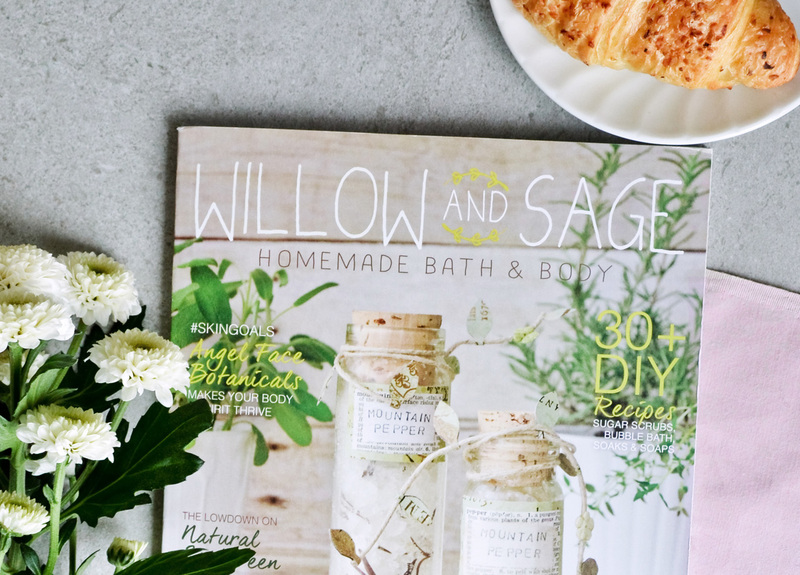 But those don’t really count, however Mitzy At Home got a 4 page feature in the summer edition of Willow and Sage magazine. Isn’t that sweet?! I have been waiting for months for this to come out and for me to get my hands on it. It’s such a gorgeous magazine, filled with beautiful photographs of DIYs from so many creative people, it’s a thick magazine too with over 140 pages and I like that it’s matte. It has that cozy, crafty feel. You can see the preview of the magazine here and it’s available to order right now! Stampington also publishes other equally creative magazines, so you should definitely check those out. For me the best way to read a magazine is with my feet up on the couch in a super comfy position with a coffee in hand. As you know by now I like my coffee strong, without sugar, with a splash of milk. And besides part skimmed cow’s milk I like to experiment with nut milks too. 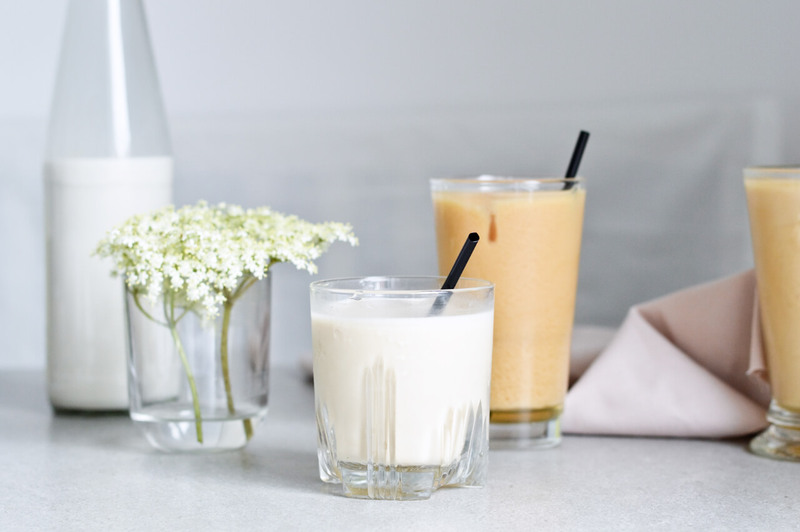 I love almond milk or macadamia, which I’ve also shared here on the blog. But macadamia nuts especially have a very mild flavor and this time I was in the mood for something a little different. Enter brazil nuts. I feel these get kind of overlooked sometimes? I used to buy them a lot and then I switched to macadamia, while Rok’s favorite are still almonds, but I just think it’s time I bring these babies back, in the form of a toasted brazil nut milk. Doesn’t is sound wonderful? Well, it really is. It is so creamy. That and the color really remind me of regular cow’s milk. The taste is different though, even compared to macadamia milk. This one is more nutty and I think it would work wonderfully with cocoa and some cinnamon, and definitely in a smoothie. However it’s nice when paired with tea too, so I made some vegan iced tea latte! 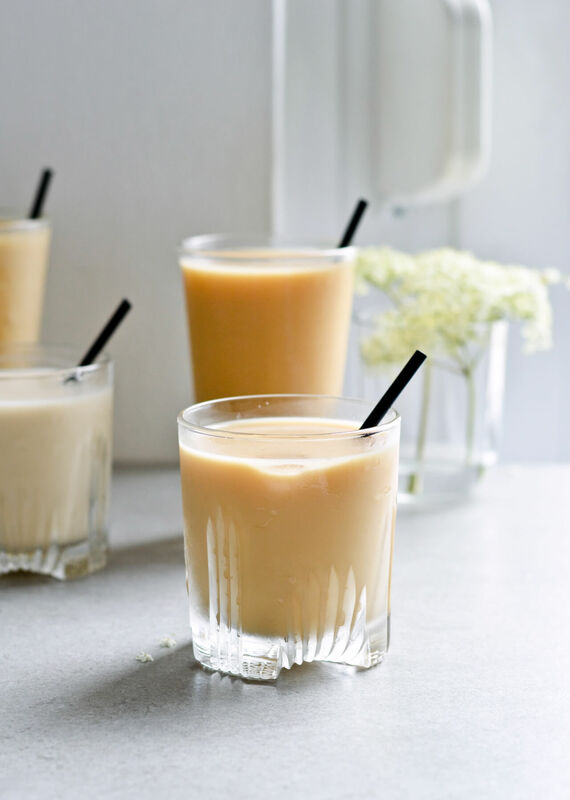 I do like chilled green tea with some lemon, but this vegan iced tea latte is a killer thing too. And if dairy upsets your stomach, there’s nothing better than a vegan latte, as you can add as much milk as you want! 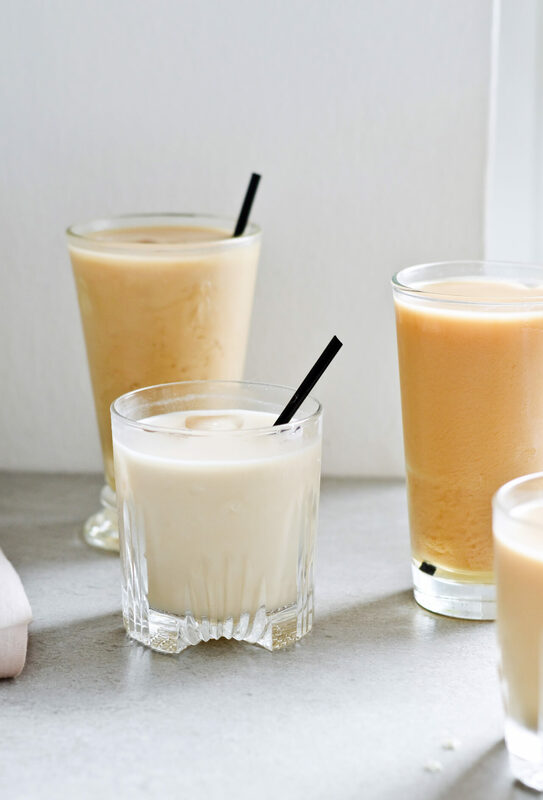 And vegan iced tea latte is a really easy thing to make. 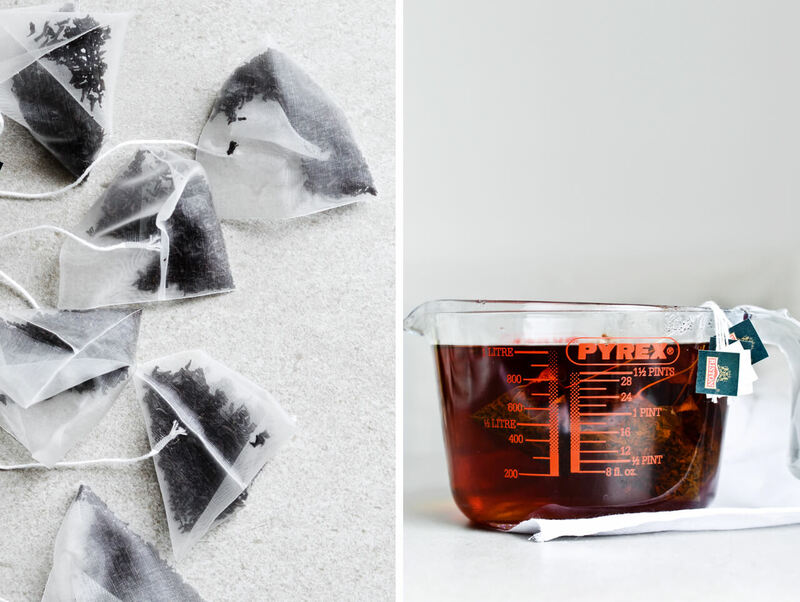 You just brew some really strong black tea, chill it and then add milk to it. You could also use a creamer, vegan or not, to make it even more silky. 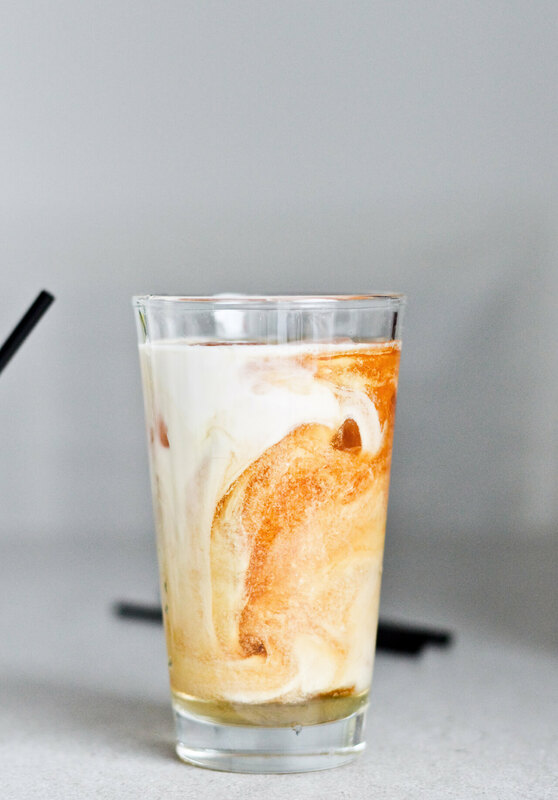 If you’re in the mood for something sweet, which I sometimes am, vanilla syrup is perfect (like in this vegan iced coffee). I’ve also experimented with adding some elderflower syrup, for a floral aftertaste and it’s definitely an interesting combination if you’re in the mood for trying something new. 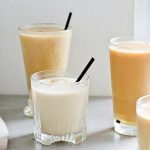 Make your own brazil nut milk and use it in a refreshing iced tea latte! Recipe makes about 700ml (3 cups) milk, enough for 3-4 lattes! Preheat oven to 180°C (355°F). Line a baking sheet (even a tart pan) with parchment paper and spread nuts over in an even layer. Toast in the oven for about 10 minutes, until fragrant and golden brown. Stir once halfway through. Remove from oven and cool to room temperature. 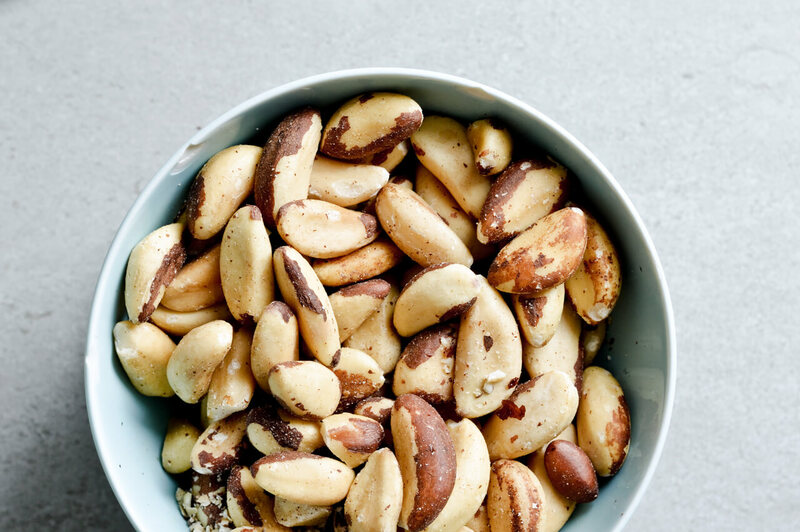 Transfer brazil nuts to a medium bowl and cover with 500ml (2 cups) water. Cover bowl with plastic wrap and soak overnight, either at room temperature or in the fridge during the summer. Next day drain and rinse the nuts. Transfer to a blender along with 950ml (4 cups) water. Pulse and blend until all the brazil nuts are crushed. The mixture should look like a grainy soup, if you see any big chunks keep on blending. 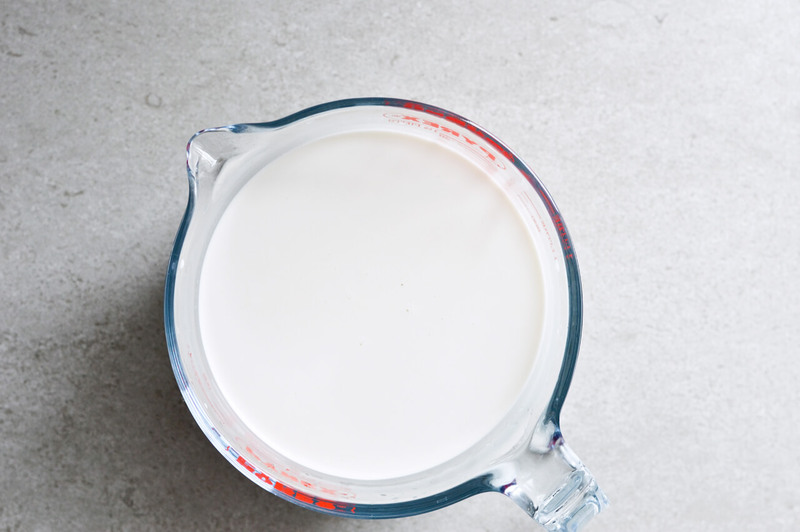 Strain milk through a cheesecloth, placed over a strainer that is placed over a big bowl (or pitcher). 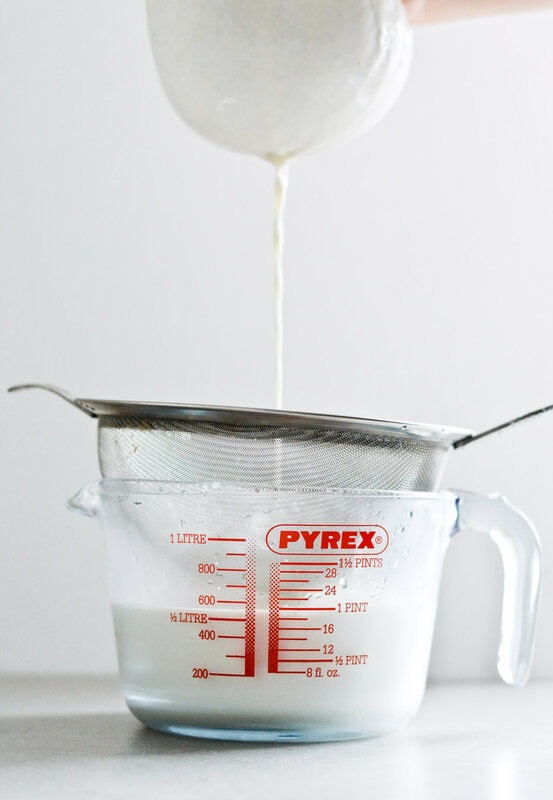 You can occasionally stir the mixture with a spoon or spatula, to help the liquid reach the bottom. When a thick mass is left in the strainer, bring together the ends of the cloth, twist them and squeeze out as much of the liquid as you can. 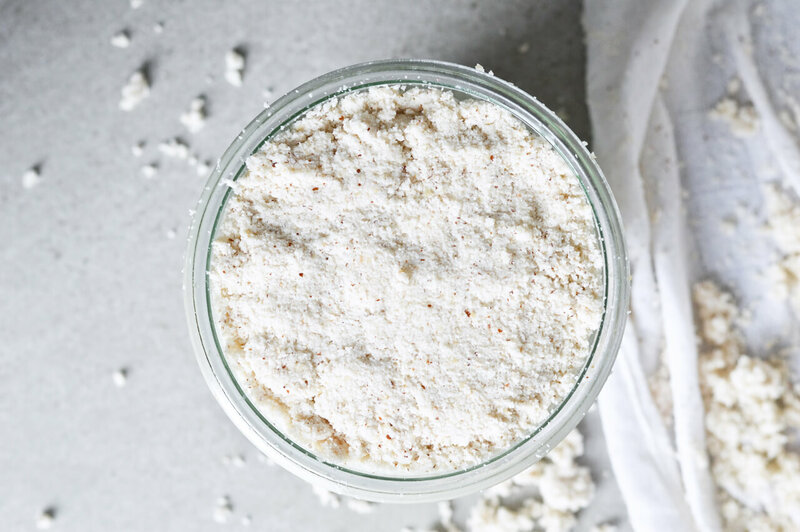 Store leftover pulp in an airtight container in the fridge for up to two days or freeze it. 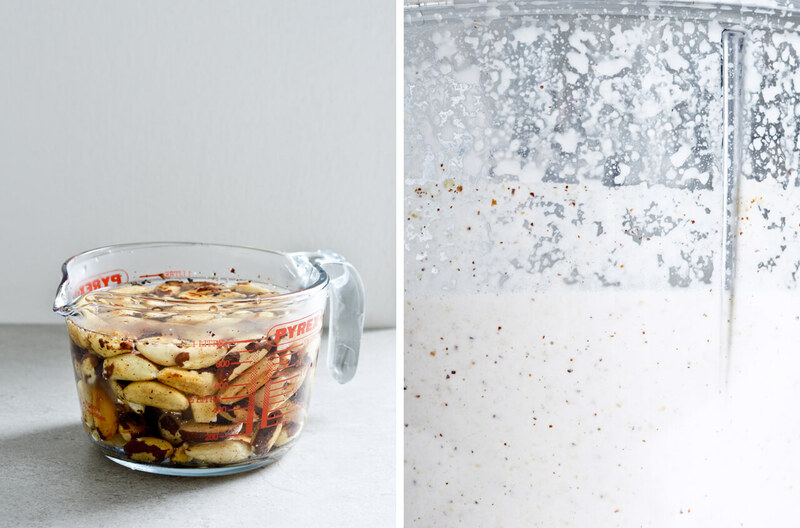 It’s great in smoothies, on fruit crisps, yogurt, pancakes, in homemade granola, etc. 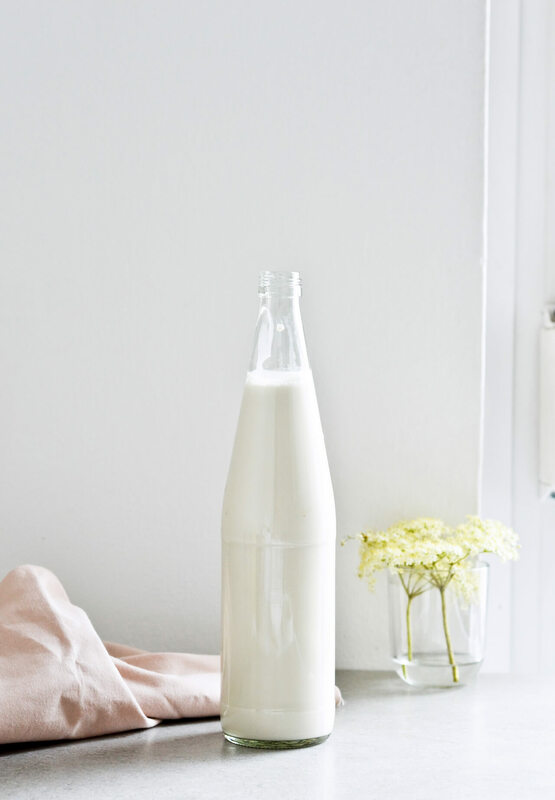 Pour milk in a glass bottle and keep sealed in the fridge for up to 3 days. 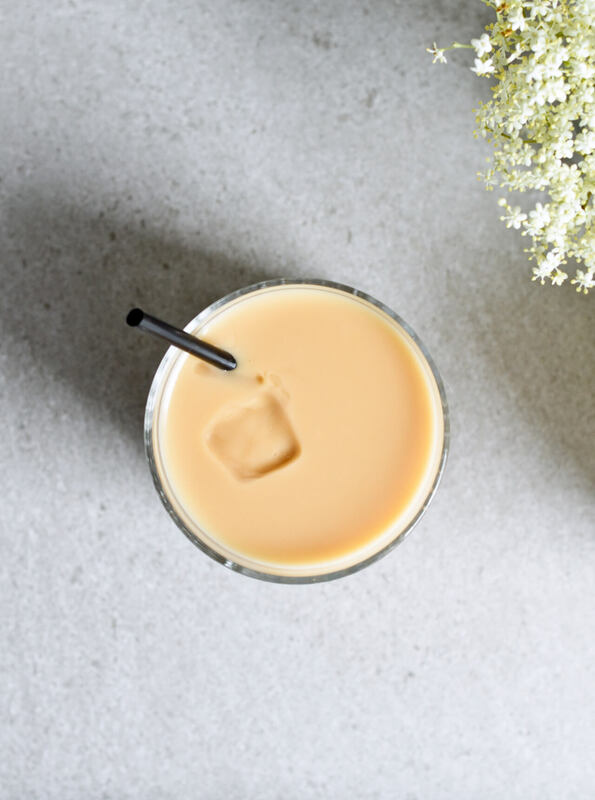 If you like your milk a little sweet you can sweeten it with honey, maple syrup, agave nectar, vanilla simple syrup or whatever else you like. Bring 1 liter of water to a boil. Remove from heat and add 6 bags of black tea. Let steep for 5-8 minutes, then remove the bags and let tea cool to room temperature. Continue chilling in the fridge. To make the latte, place a few ice cubes in a glass, pour over tea until it fills about 1/2 to 2/3 of the glass (depending on your taste). Add milk, stir and enjoy! 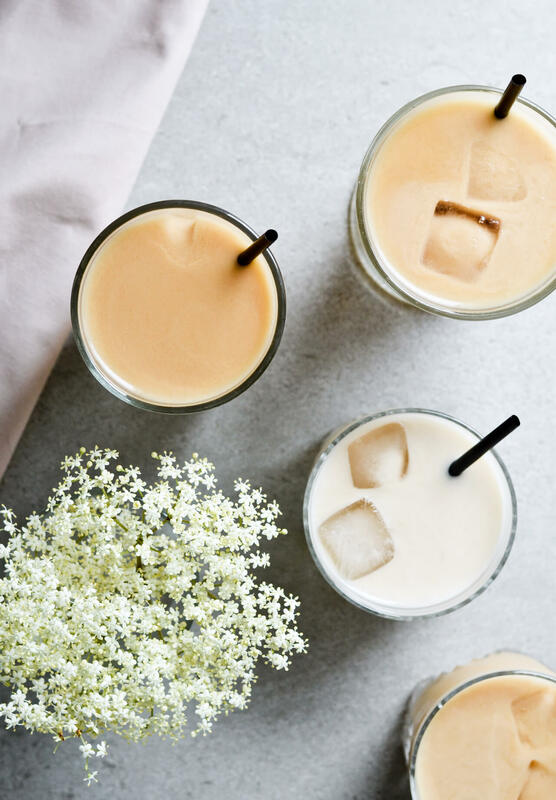 To make it sweet add some simple syrup, vanilla syrup or even elderflower syrup for a floral kick!